A new baby is a cause for celebration for all families, and a great excuse to gather friends and family together. If you’re not religious, a naming day ceremony is a wonderful way to commemorate the arrival of your new baby. Our gorgeous Manor house is the perfect location for a special family celebration, so read on for top tips from Woodhall Manor to help you plan a perfect day for you and your newest family member. Celebrate your newly extended family by gathering your nearest and dearest together for a naming day ceremony. Create a list of all the people who are significant in the lives of you and your partner, and don’t feel obliged to invite people that you’re not close to. The purpose of a naming ceremony is to gather together all those people who will play an active role in your child’s life. It’s an opportunity to formally introduce your child to the world, and to invite your close friends and family to play a part in his or her life. 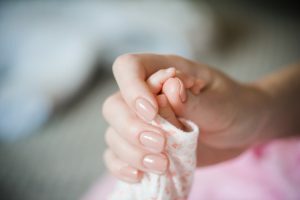 At a christening, godparents are asked to declare themselves as supporters of the baby, so you may wish to also choose specific people to perform a similar role for your child, and formalise this at the naming ceremony. Surround yourself with people who play an active role in your life, however new they may be in your lives. If you’ve become close to other new mums and their children, this is the perfect opportunity to bring them together to join with your close friends and family. As naming ceremonies carry no legal status, there are no set rules for the day meaning you’re free to structure the day as you wish. Naming day ceremonies can be conducted by a celebrant, but if you want to keep the occasion really personal, then why not ask a close friend or family member to lead the ceremony? 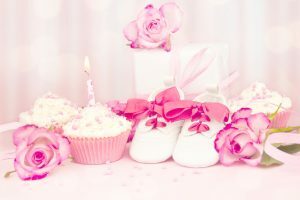 Most ceremonies will begin with an introduction, followed by a reading, and then the person conducting the ceremony will announce the baby’s name. After this, parents and godparents or supporters will promise to support, love and be there for the child; there will then be another reading, and perhaps some music. 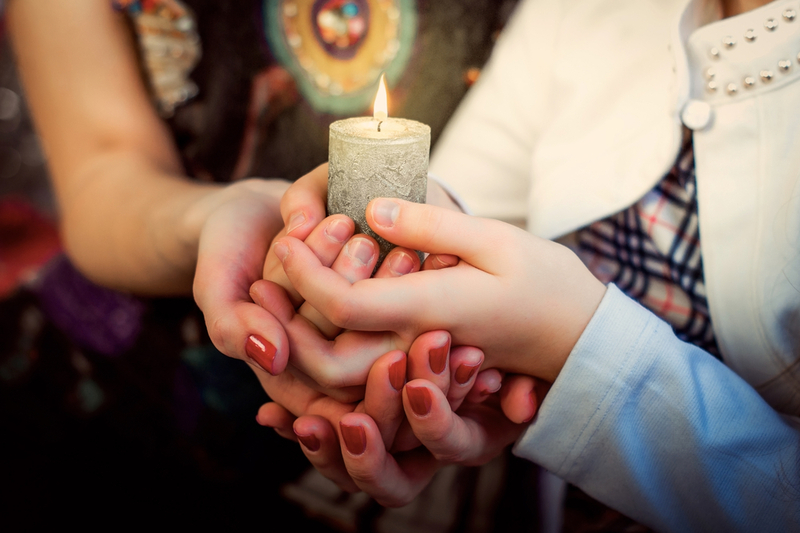 Choose readings or poems that mean something to you and your family to make the occasion really special and memorable. Perhaps select a passage from a favourite book or childhood poem that holds personal significance to you. We love the idea of marking the occasion with the lighting of a candle, or the commitment to plant a tree in honour of your new arrival. Another lovely idea is to create a box of treasures or time capsule to stash away until the child is eighteen. In lieu of a naming day gift, ask guests to write a personal message, and bring something to add to the capsule. The day’s newspaper, a current CD, commemorative coins or stamps are all perfect ways to mark a moment in time. Why not include a horseshoe for good luck, crystals to symbolise peace and harmony, or maybe a blank notebook for the young adult to fill with their very own hopes and dreams in years to come. A naming day ceremony is all about the joy of family life and the celebration of new life, so when you’re planning your day, make sure you consider the mix of guests who’ll be attending. You want to create an environment where everyone can relax and enjoy themselves fully. Your more mature guests will be grateful for a quiet place where they can sit for a while and observe proceedings from the sidelines, while children will relish the opportunity to run around and let off steam together. Make sure you consider food that will appeal to all – we find a hot and cold buffet is hard to beat when you’ve got a range of ages and tastes to cater for. If you’re ordering a celebration cake, choose something that most people will enjoy as traditional fruit cake can often be left languishing on the buffet table long after it’s been cut. Consider a creatively designed flavoured sponge, or opt for individual cupcakes on a beautiful stand or creative display – the children will just love them! Whatever your plans for your naming day ceremony, our Woodhall Manor events planners can help you create the perfect event. We are full of wonderful ideas to make your day truly memorable for you and your guests, so give our talented team a call on 01394 411 288 to find out more about our stunning Manor.